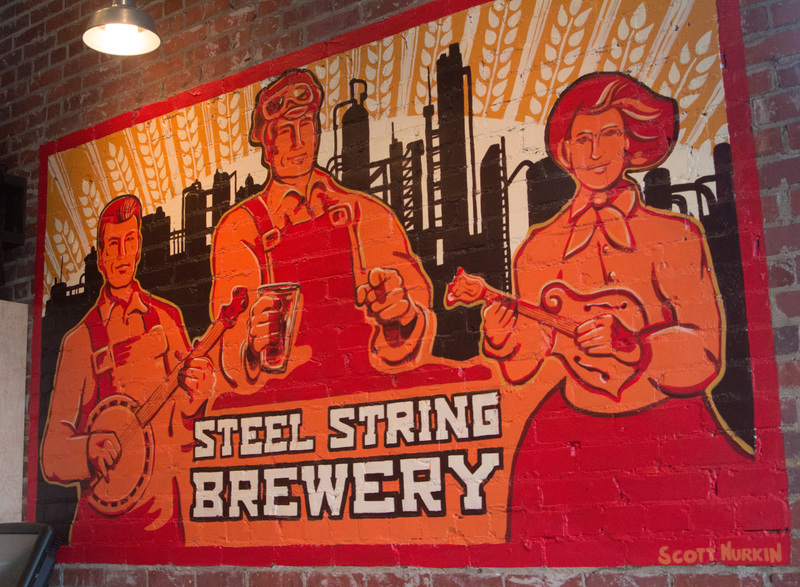 Are you feeling a little stir crazy post Snowpocalypse Part 2? 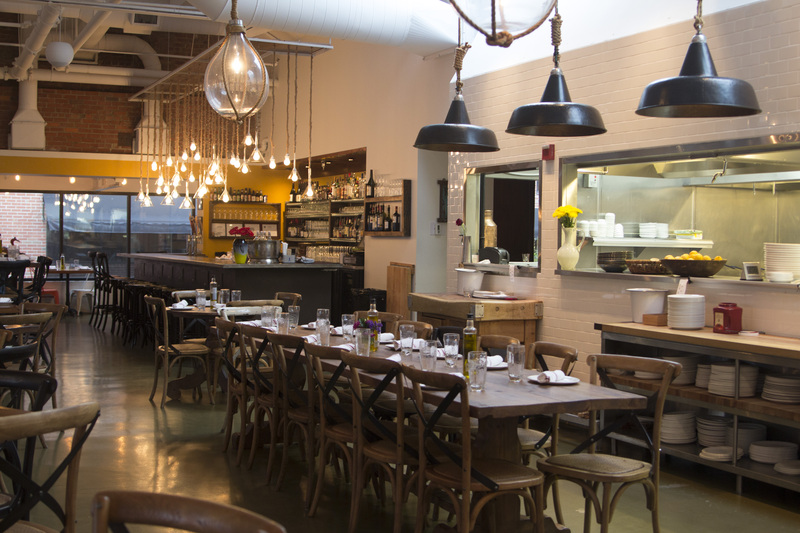 Here’s what you should see and do in Chapel Hill now. Fashion can tell the stories of who we are and who we want to be. When you wear a bold dress or a piece of jewelry handed down to you by a grandmother, you are not simply trying on meaningless objects. The pieces transform when you wear them—that skin-to-fabric contact creates a bond—a fantasy, a reality. On a less personal note, fashion can tell us about the cultural and social norms of a time. Yves Saint Laurent’s 1966 tuxedo suit, Le Smoking, made a strong statement about female power, as it was the first popular tuxedo suit for women. Similarly, in 2001, Alexander McQueen’s Spring/Summer show, Voss, questioned the modeling industry’s obsession with creating a standard formula for female beauty. Thus, fashion has an impact on the way we feel, think, and see. However, popular cultural and a majority of the world seem to have one view of the fashion industry, a view filtered through the lens of such phenomenon as The Devil Wears Prada. This image of the fashion industry consists of a cold, snobby, and cutthroat consumerist realm based in New York and inaccessible to the rest of the world. But if the fabulous designers from Friday night’s Fashion for a Better World show have anything to say about it, that perception of the fashion industry will be shattered. 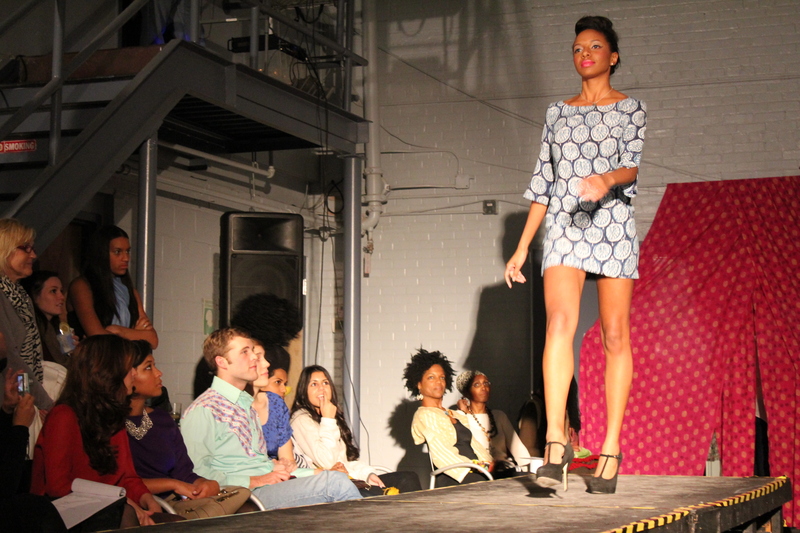 A part of UNC’s larger Global Entrepreneurship Week, Fashion for a Better World emphasized the power of rising female entrepreneurs and the growing market of sustainable fashion in the Research Triangle. Hosted by Symbology, a label that uses fashion to empower female artisans, the event showcased works by six different female designers. Additionally, Brooks Bell, founder of an enterprise-level testing and optimization firm, spoke about her experience as a female entrepreneur and the necessity of taking small risks to build confidence. Mor Aframian, from Redress Raleigh, also celebrated the modern female entrepreneur in her speech about the emergence of a sustainable fashion industry in North Carolina. But it was the surprise celebrity guest speaker of the night, five-time Grammy nominee Nnenna Freelon who so eloquently captured the spirit of the entire night: “It’s not just about looking cute, it’s about spreading the love and the wealth and the beauty…So we can all feel good on multiple levels.” Nnenna also spoke to the notion of creating this sustainable fashion industry right here in North Carolina when she succinctly stated, “Bloom where you are planted.” You don’t have to go to New York, Milan, or Paris to interact with fashion. 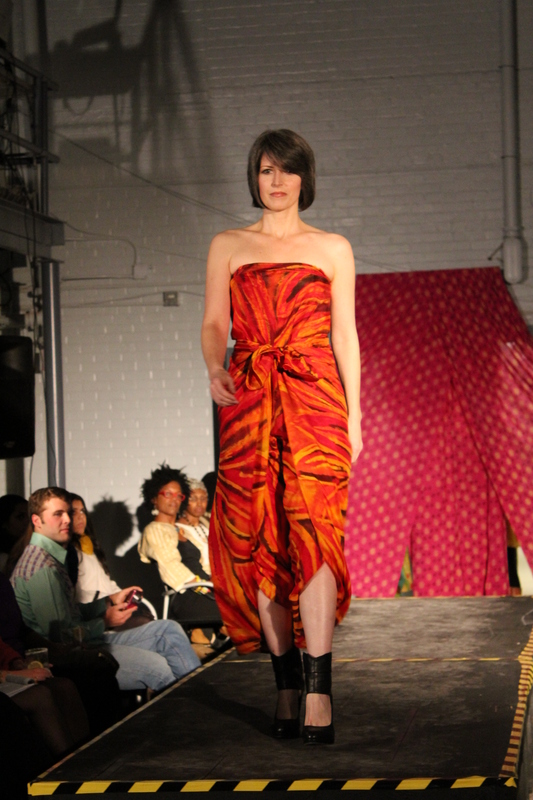 There’s an entire fashion industry blooming in the Research Triangle, and during Fashion for a Better World, the audience was finally able to witness it. And what I saw was not just any fashion but fashion with heart. 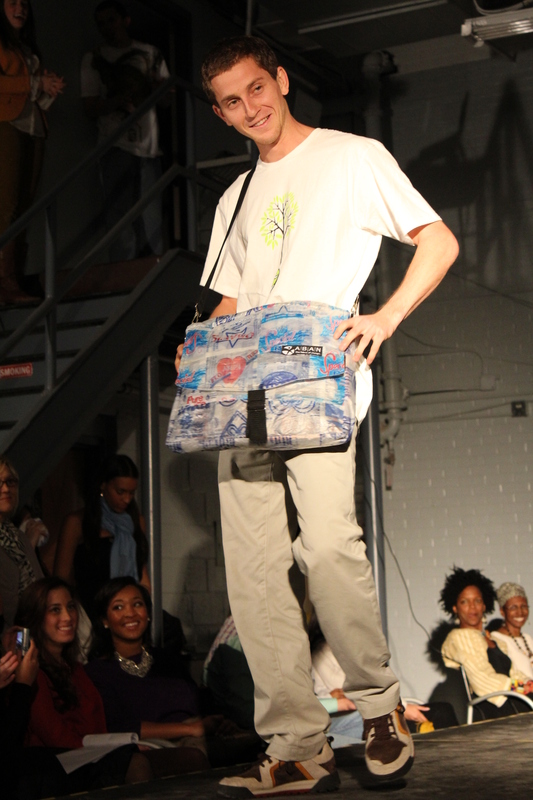 Fashion grounded in social and environmental consciousness. The first designer to send her looks down the runway was Oami Powers, founder of the contemporary clothing line, Judah Ross. Powers noted the importance of personal history in her edgy and eclectic designs. On her decision to go green as a designer, Oami said, “You want to feel good about the clothes you are wearing, you don’t want to feel like you’re having a really detrimental effect on the planet…” A true believer in the Slow Fashion movement, Oami emphasized the need for quality over quantity in her designs. This quality was evident in all her pieces from the night. 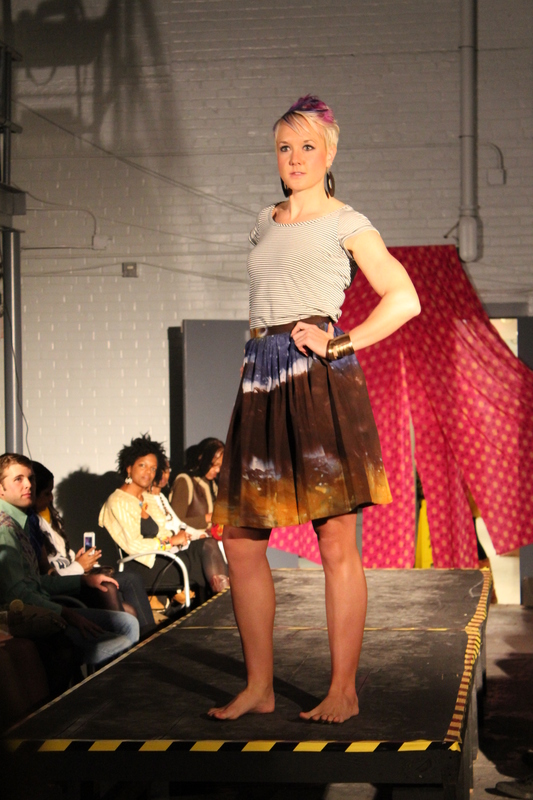 One particular stunner was this hand-dyed watercolor skirt, no doubt influenced by Powers’ background as a painter. Oami’s attention to fabric and color can also be seen in her other dresses. Following Powers’ Judah Ross was Kim Kirchstein of Leopold Designs. Motivated by a love for shape, pattern, and texture, Kirchstein has created gorgeous scarves for Leopold Designs in the past but notes that she is now making more of a transition to wearable garments. Her collection vibrated with color and intricate patterns. 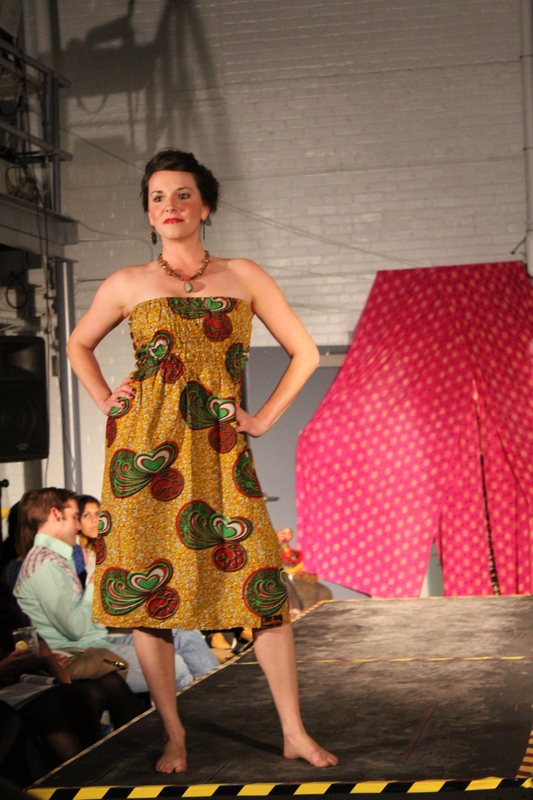 After Mamafrica’s vividly colorful designs came the softer, earthy hues of Organicality, an eco-lifestyle company dedicated to selling products that contain only organic and sustainable fibers certified under Fair Trade conditions. Carrie Huitt Rueben, the founder of Organicality, has become a leader in sustainable fashion, and her chic collection of laid-back knits was perfect for fall and perfect for the environmentally conscious. Bags and wallets from Callie Brauel’s non-profit, A Ban Against Neglect, completed Organicality’s outfits. A Ban Against Neglect is a non-profit organization based in Accra, Ghana that helps girls off the street in Accra and recycles the plastic bags that litter Accra’s roads. By teaching girls how to sew bags made out of these plastic bags and other materials, ABAN provides a financial boost and an environmental boost to the community of Accra, Ghana. 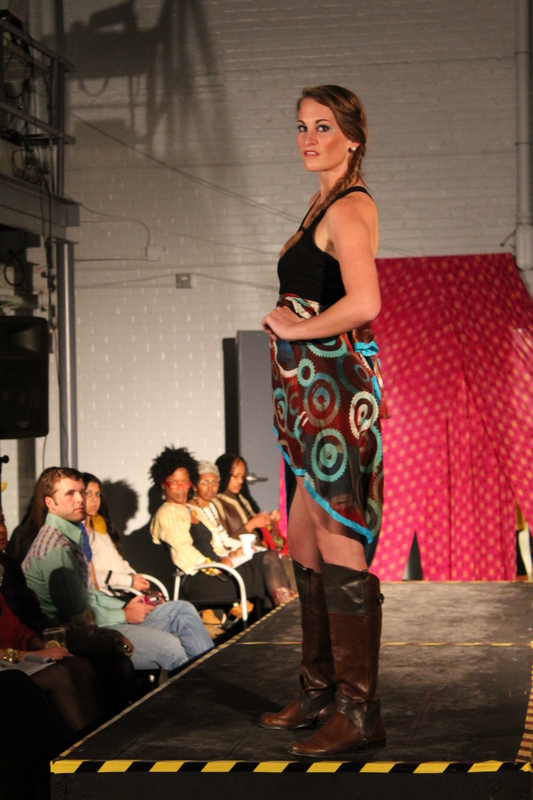 Marissa Heyl of Symbology closed the fashion show with her Fall 2012 collection. Titled Peacocks and Paisleys, this collection’s crisp patterns, modern silhouettes, and interesting cutout designs created a dynamic set of looks. 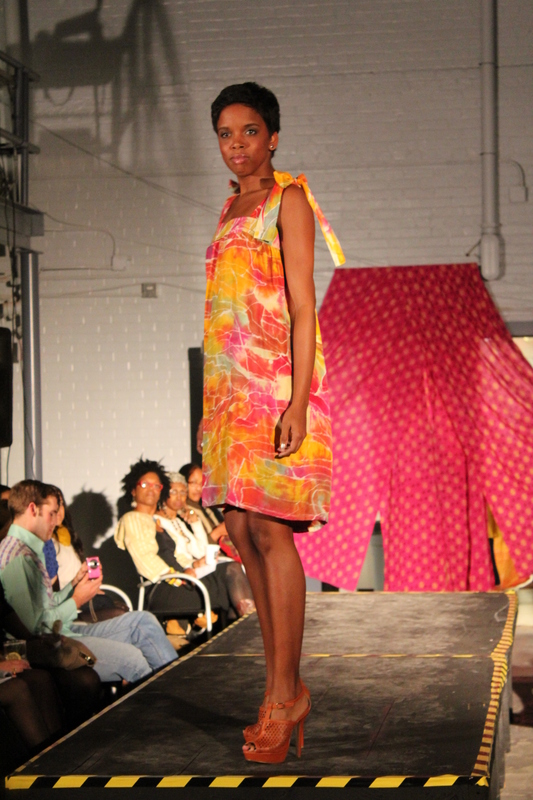 For example, the flair of this dress and the bright color made for a stunning opening piece. 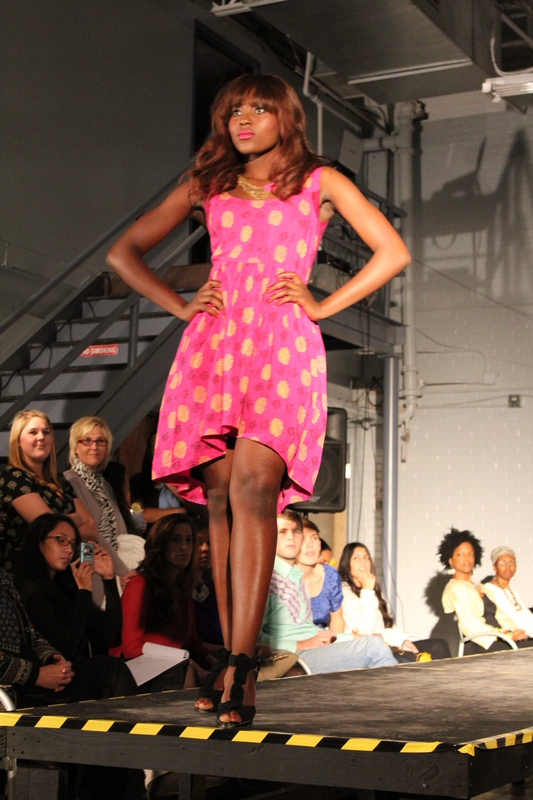 Another favorite of mine was this patterned dress that could easily translate from day to night. Finally, this modern red dress with an interesting cutout stole the show for me. To round out the collection, performers danced to Beyonce’s “Run the World (Girls),” creating an atmosphere of high energy and female strength. 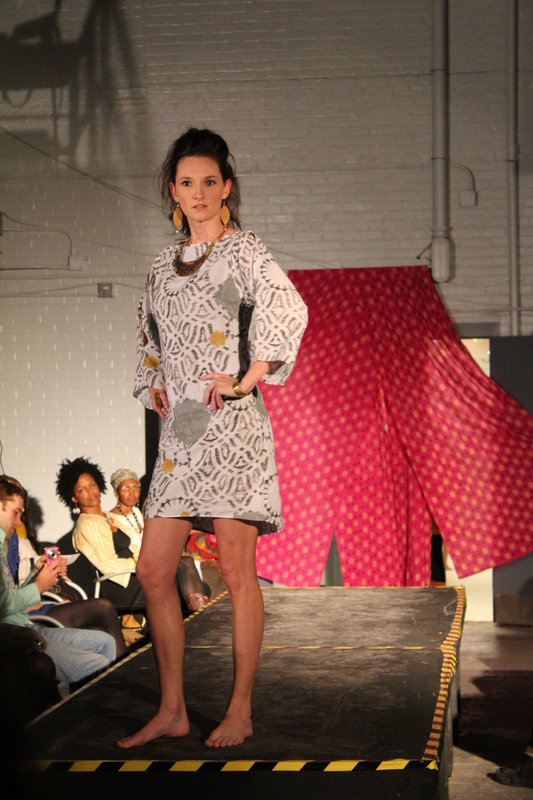 Heyl uses textiles made by artisans in India and provides these artisans with a steady demand and fair income. Her innovative approach to fashion has changed the way in which we view sustainable fashion. In this case, Heyl has created sustainable relationships with artisans in India. She noted how larger companies like Anthropologie sometimes partner with poorer artisans, but after using these artisans, the companies leave. So no permanent solution to their lack of income has been established. Symbology, on the other hand, thrives on these close relationships. Heyl explained that being on the ground and talking to people in these developing countries has served as the basis of her professional relationships with the artisans. Marissa Heyl’s commitment to creating communities focused on bettering the world through fashion has resulted in not only Symbology but also Friday’s Fashion for a Better World. Heyl brought together a group of women in North Carolina to show how amazing female collaboration can be. 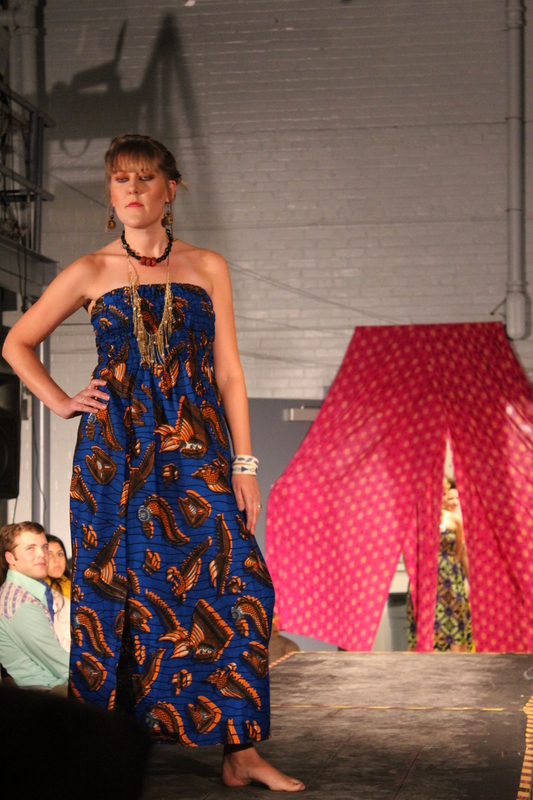 The night also solidified the importance of creating fashion to sustain the world and the people who live in it. Most of all, the night allowed me a glimpse of an alternate fashion universe, one where fashion tells the stories of who we are and who we will be. One where snobby exclusivity is replaced by heart and a desire to see change in the world. When Paul and Susan Shareshian learned that Franklin St.’s only movie theater was closing down, they decided to not only buy the theater, but also to give it a makeover. Reopening in November, the fresh Varsity theater will have elaborate new molding and classic red carpeting to go with its “Old Hollywood” style. The Varsity regularly plays both current and classic movies for a much lower cost than other cinemas. 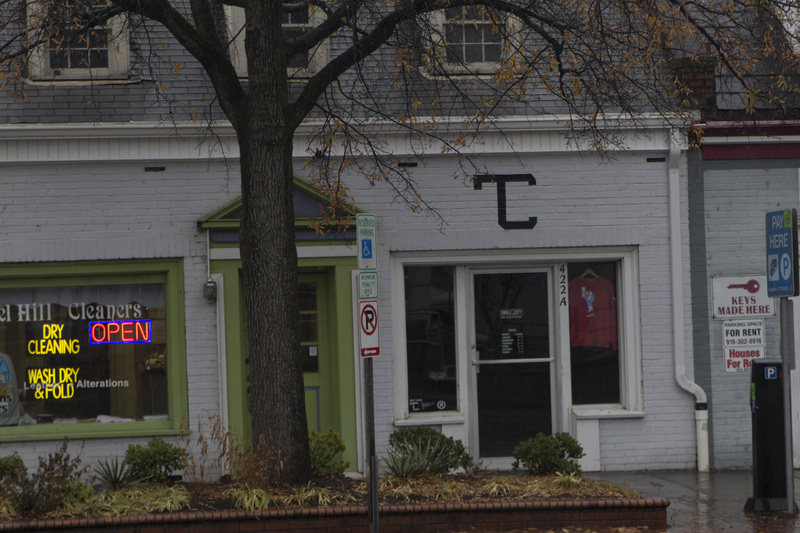 In renovating the venue, the Shareshians want to “keep the community in mind and get their opinions, because ‘classic’ means different things to different people.” The couple is seeking the help of UNC art majors to suggest and carry out new looks for the theater’s lobby. Soon enough, you will be able to get a first-hand dose of Old Hollywood romanticism just down the street from campus. We all know that a person’s appearance is important for a job interview in any career. But really, how important is it? In my opinion, image is EVERYTHING. Honestly, who doesn’t make judgements and assumptions based on the effort a person puts into their day-to-day style and dress? Looking haggard and wornout makes you look weak rather than the powerful, professional character you really are. A good first impression is imperative. So how should you dress? The simplest answer is: everyday, you should leave your home looking impeccable, head to toe. With proper, professional, yet stylish, attire and immaculate grooming, you will always be ahead and on top. Now for the clothes… A skirt suit is a must for every woman’s closet. For a first interview, a skirt suit is the safest choice. Keep the accesories simple and the perfume at a minimum. An interview is not the time to try the latest Britney Spears fragrance you bought the other day at CVS. Go for simple studs for earrings and an elegant watch on your wrist. For shoes, always go for something sleek, comfortable, and professional. No, this is not the time for those coughjackrogerscough grlackk… But say yes to a simple pair of black pumps or cute flats. Skirts should hit at or below the knee and tights should be worn in most circumstances. Here are some not-so-drab looks to empower and impress! American Idol finalist and UNC-Chapel Hill alum Anoop Desai is among the musical guests for the 2009 N.C. State Fair. Desai is set to perform on Oct. 22, and it is only $5 to get in, so go support your favorite American Idol and former Clef Hanger this year at the N.C. State Fair! All musical performances will be at 7:30 p.m. in Dorton Arena. In case this is your first time, the State Fair is located in Raleigh and runs from Oct. 15-Oct. 25. You can get maps and directions as well as transportation and parking info at the N.C. State Fair website http://www.ncstatefair.org/2009/. New York’s dominant Afro-Puerto Rican bomba and plena group Los Plenores dela 21 (LP21) is coming to UNC-Chapel Hill this weekend to perform in Memorial Hall’s Beasley-Curtis Auditorium on Friday, Oct. 16 at 7 p.m. The group’s album Para Todos Ustedes was nominated for a Grammy Award in 2006. LP21’s music is a combination of the bomba and plena genres that date back to the 17th and 20th centuries respectively. The group consists of intergenerational Puerto Rican folk masters and musicians, and the group’s music often combines tribal hand-held drum rhythms and African tribal dances with jazz, salsa, rock and rap tones. The performance is free, and tickets are available at the Memorial Hall box office, so come check it out! According to The New York Times, due to the state of the economy, Harvard’s endowment is down from $36.9 billion last June, to $26 billion this year. The almost 30% decrease has forced the university to cut back on a few things, the most pressing (apparently) of which is the free bacon and egg breakfasts. First, we should all be appreciative that we never had free hot breakfasts, because we have now avoided the devastating sense of loss that those Harvard students are feeling right this second. Whew, we sure dodged a bullet there! Also, we should thank our lucky stars, God, or our parents for sending us to a public school with limited resources that force us to interact with each other. As Khoa Tran, president of Harvard Taekwondo, told The Harvard Crimson about having to share practice space with the dance team, “It will be an interesting mix because they will be playing dance music while we do our routines,” he told the paper. “We ourselves yell every time we kick… and we kick a lot.” Seriously, thank heavens we’re already used to being around other people, or I don’t know how we’d survive this economic downturn!! However, this evidently very stormy cloud has its own silver lining: Harvard has still managed to hold onto its entire faculty. Of course, we can’t be certain how long that will last without the free cookies at faculty meetings, and of course, the hot breakfasts.